Made from soft, round shapes of contrasting textures, Sakari puts a twist on traditional design. This wall-mounted piece has 5 hooks – plenty of storage meets max form. 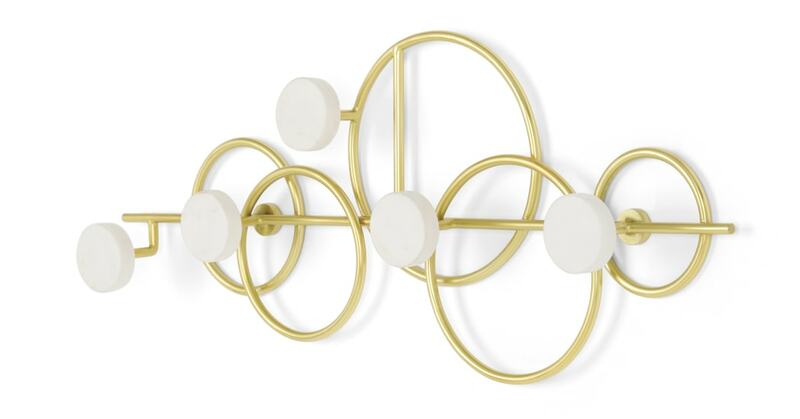 Marble details meet brass, giving this wall hook serious appeal. Who said functional pieces had to be boring? Style Sakari with the matching coat stand and umbrella stand for a put together look that's easy on the eye.